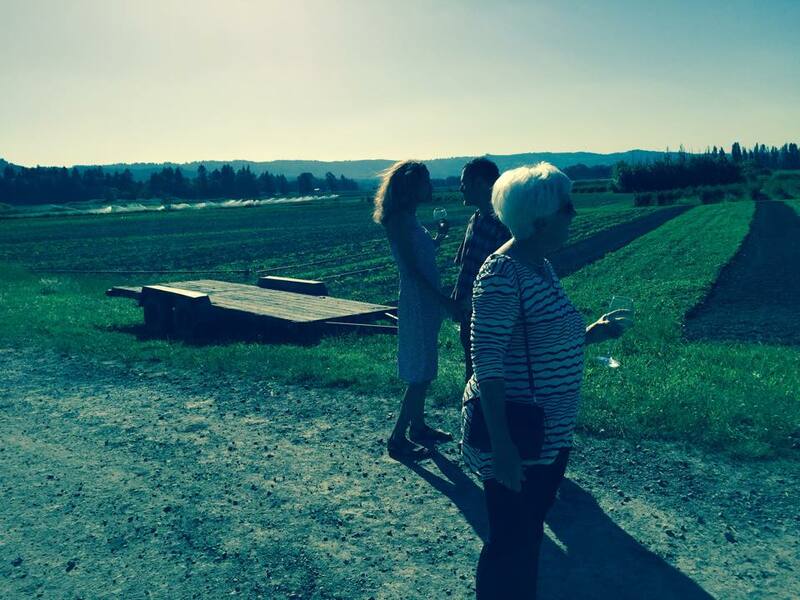 Our Farm Dinners start at dusk , as we put the birds to sleep and watch the sun disappear behind the hills, we wait for you on the lawn neighboring the cherry orchard . 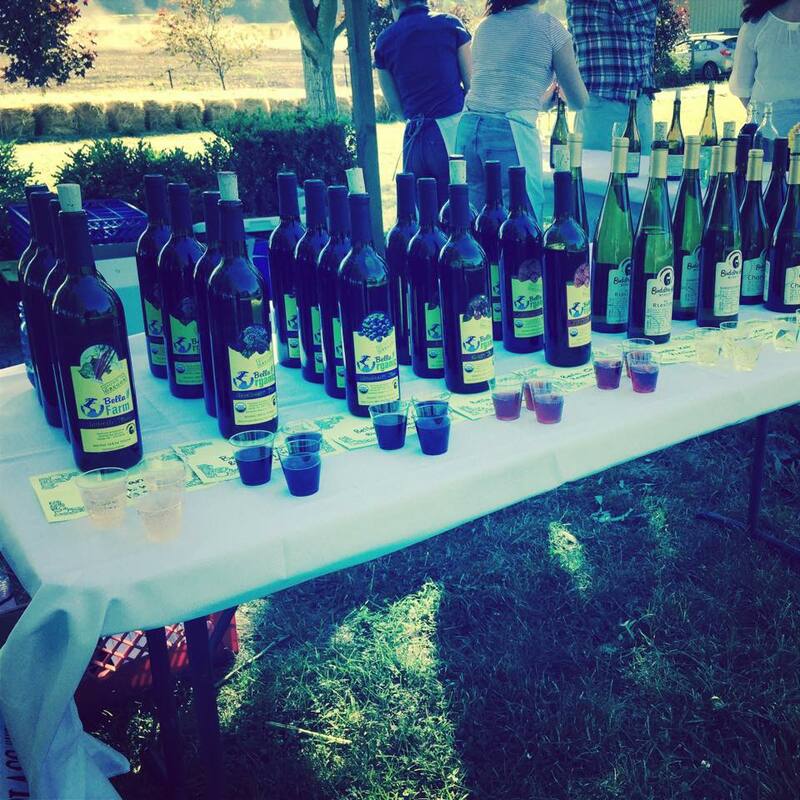 You are greeted with glass of your choice of Bella’s berry or grape wine, hard cider or HUB organically brewed beer. 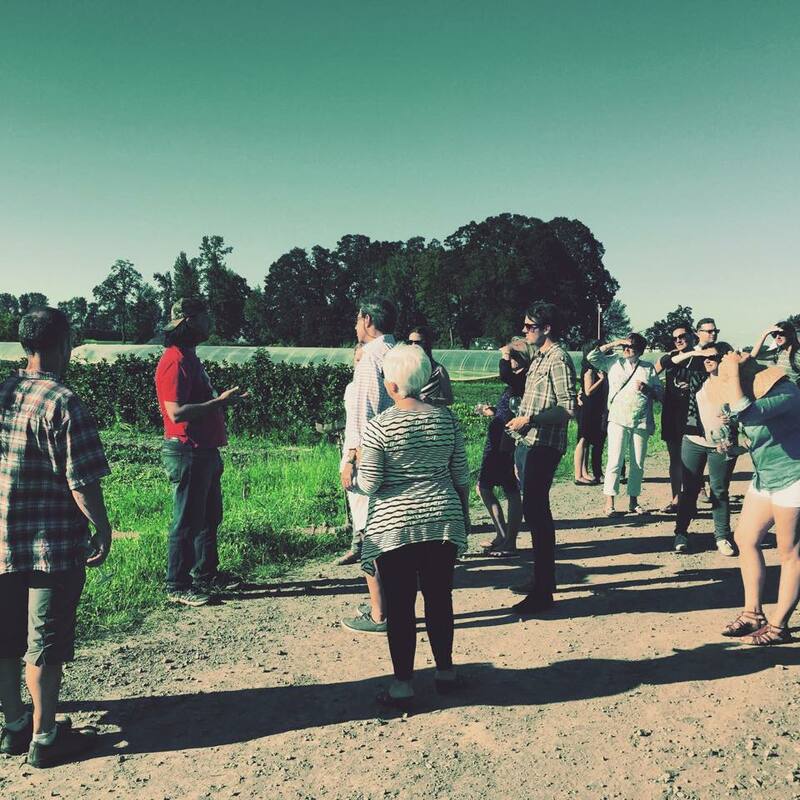 Your Farmer will treat you to a farm tour showcasing his hard labor of the season and to brag about his wealth of farm fresh crops and the annual gift of the Earth to us humans. After the tour, you are back to meet the artist who will craft your meal for the night. A family style dinner, with tables decorated with freshly picked bouquet of flowers, The feast will now start. Be ready to be delighted with a generous selection from our eight course meal. It is a surprise that will tickle your taste buds. The changing of the tides of the three rivers surrounding the island, the warm evening breeze, the sun set, the beauty of the land and the abundance of food and of course, the wine, the wine will leave you memories of a life time! Don’t forget to visit your farm store on the way out and stock up on some of the freshest farm products. Pick a bottle of your favorite wine of hard cider or make your own gift basket and receive 20% off of a farm gift basket. Choose from a variety of options. Farm Store Stays Open for you to visit at the end of you dinner! 2016 Dinners To Be Announced! I’m interested in purchasing tickets to this dinner event, but am wondering if transportation from Portland will be provided. We are out-of-towners staying in NE Portland and would love to attend. Hi! 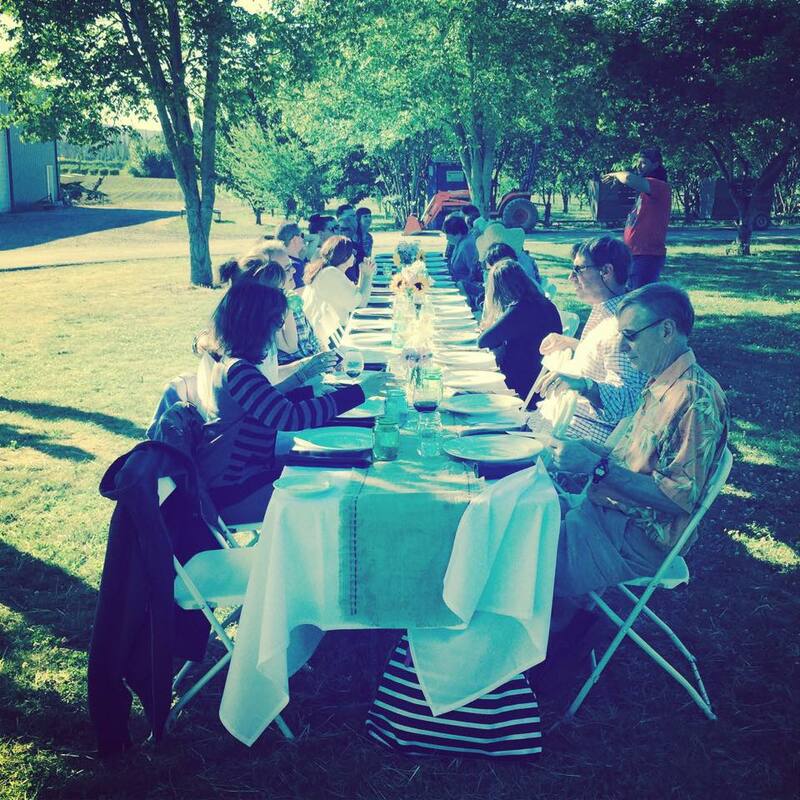 We don’t have any more farm dinners this season! The one in September has been cancelled.